First of all, Congratulation to our March #cddcreativeinspiration winner. 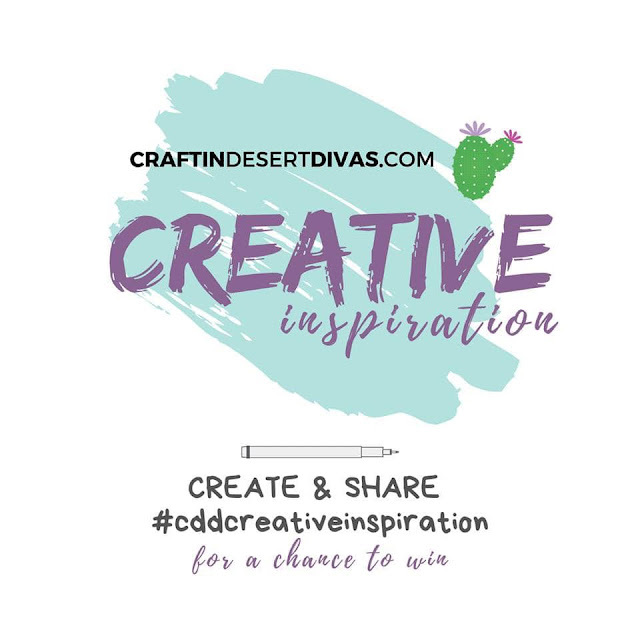 Starting of each month we are challenging you to share your #cddcreativeinspiration projects with us on social media. 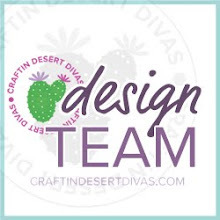 We would love to have you join us by creating a project with the same theme showcasing CDD products. Be sure to use hash tag #cddcreativeinspiration to join in. 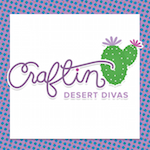 At the end of each month we will announce a Instagram winner and CDD FB Gallery winner. So what are you waiting for? Click here to join our CDD Facebook Gallery Group. So let's get started shall we. For April we have fun theme for you to play along. 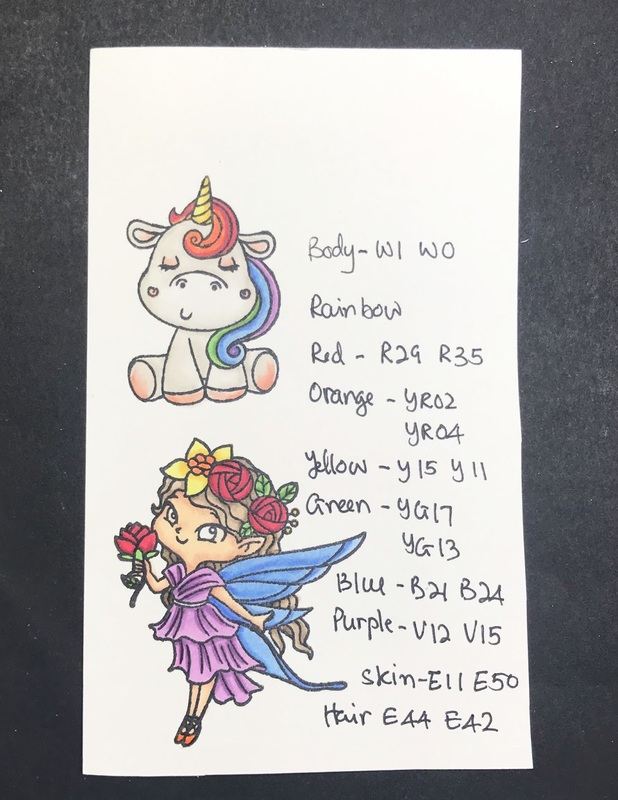 "Unicorn and/or Fairy with Rainbow Palette"
Here is what I created for you. 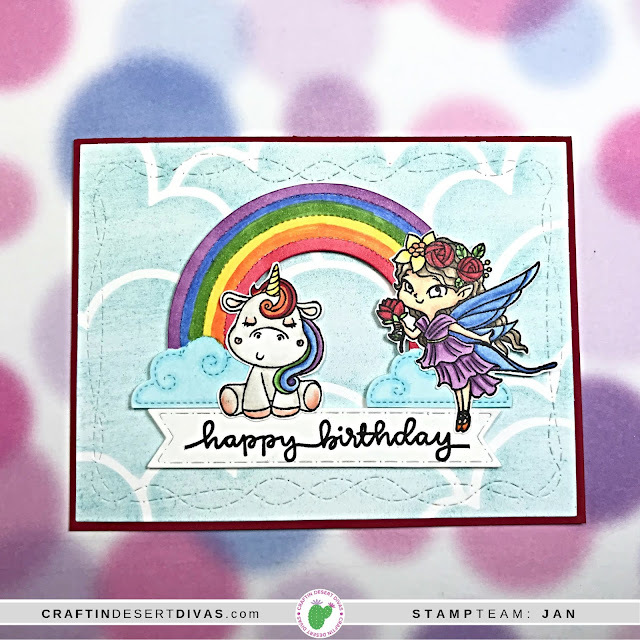 It's a sweet clean and simple card I made with Make A Wish and Magical Unicorns stamps. 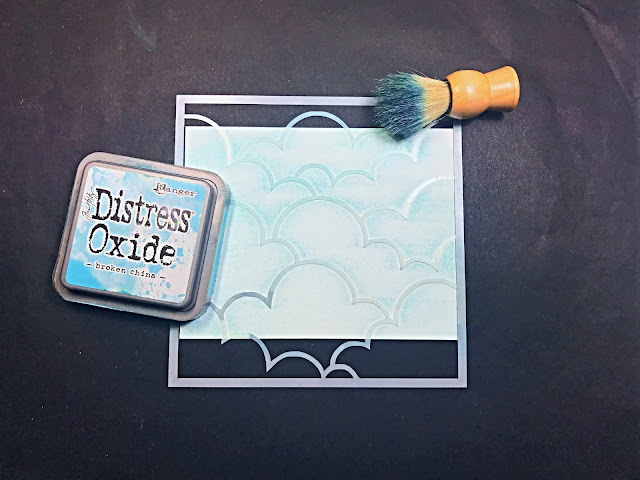 I began with using Cloudy Sky stencil with Distress Oxide ink in broken china and ink duster. I cut our Pop Up Rainbow die from white card stock and colored them in rainbow color order with copic markers. I stamped the unicorn from Magical Wishes stamp and the fairy from Make A Wish stamp and colored them with copic markers as well. I then cut the background panel with Crazy Stitched Frame dies and fussy cut my 2 colored images. 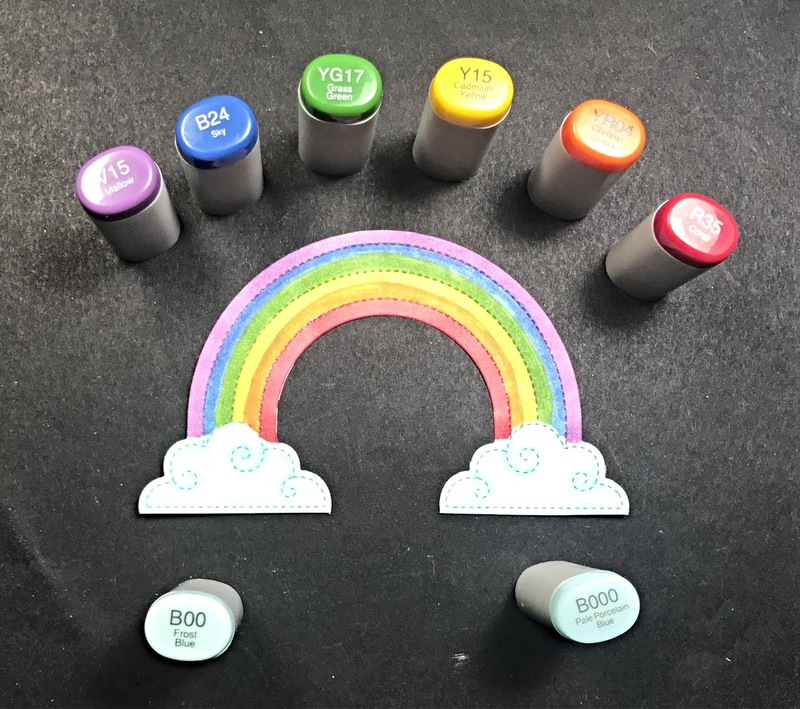 For sentiment, I used Flag Banner dies and All Together Sentiments stamp. Here is the finished card again after assemble them all together and attached it onto red card base. 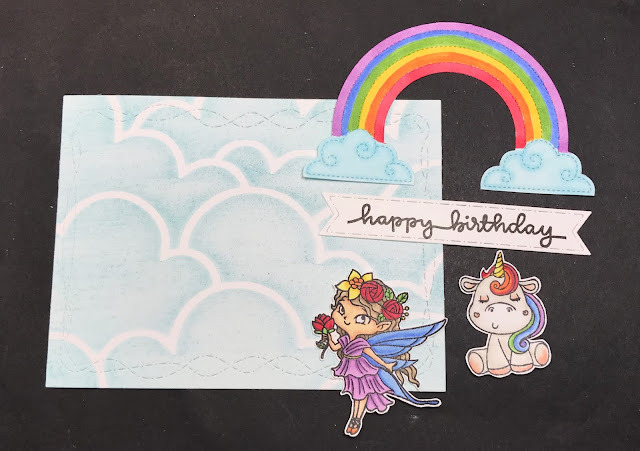 Make A Wish stamp, Magical Unicorns stamp, All Together Sentiments stamp, Pop Up Rainbow die, Crazy Stitched Frame dies, Flag Banner dies, Distress Oxide Broken China and Cloudy Sky stencil. 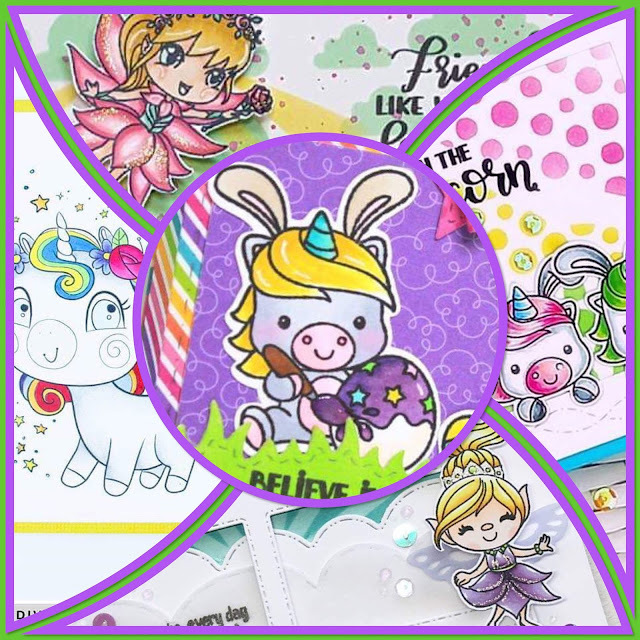 Our DT members will start sharing their #cddcreativeinspiration projects thru out the month and here is snippet from some of their projects. Hope you will join in our fun!